Mueller adds to its architectural collection with Greenway Lofts. 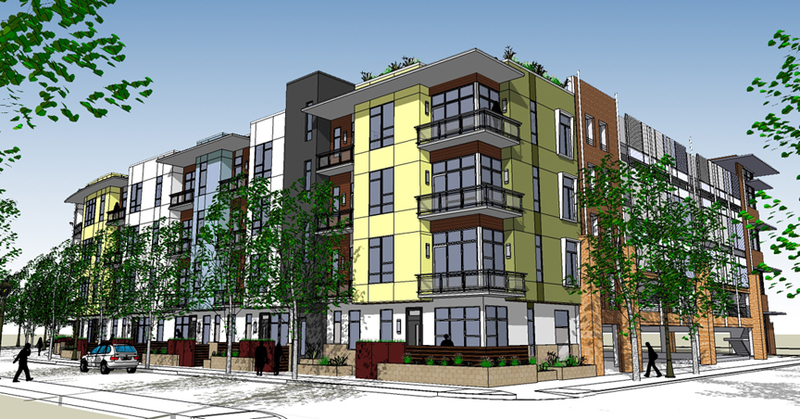 Set for a move-in date of 2009, this 34-unit condo project will add yet another option among the cottages, single family homes, and row houses that already anchor the community. These condos will also participate in Mueller’s affordable housing program, as seven of them will be set aside for people who meet the particular income requirements. These one-bedroom and two-bedroom units, designed by The Hailey Group, will share attractive amenities such as 140 acres of parks, greenbelts, playing fields, trails and plazas, swimming pools, picnic areas, play grounds, and of course a convenient location to downtown. With sleek designs, easy access to outdoor activities, and location, location, location, Greenway Lofts will surely win over the crowds of Austin!